When the weather cools, and I see football on television, I think of two things; hey, look at the size of that guy's neck, and, this is a great time of year to make stew. 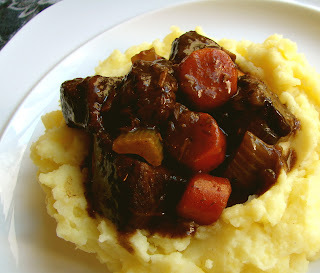 This video recipe for Beef Merlot is one of my favorites, and a take-off on the venerable Beef Bourguignon, beef braised in Burgundy wine. Whenever I see wine on sale it always seems to be Merlot. It's usually stacked at the end of the aisle, a tall pyramid of bargain booze. Why Merlot? Is it easier to grow? Have sales gone down because of what that guy said in the movie Sideways? 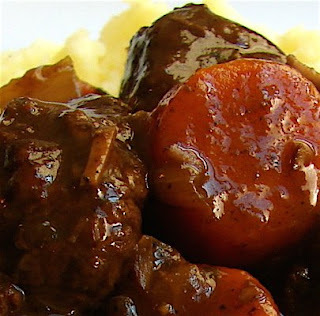 Who knows, but it's usually good quality, and makes a great cooking wine for this stew recipe. The other trick in this video is putting the stew on top of mashed potatoes, instead of cooking them in the sauce. As I say in the clip, I hate to see little chunks of broken potatoes in this stunningly beautiful sauce. Besides, what's better than mashed potatoes and gravy? And, as far as gravies go, it doesn’t get much better than this. Enjoy! This would have been the second dumbest thing, but, I've never filmed congress. This video started with great promise - I had about 3/4 of a pint basket of sugar-sweet cherry tomatoes. I've never made sun-dried cherry tomatoes before, but had slow-roasted Roma tomato halves a long time ago, and they came out pretty good. 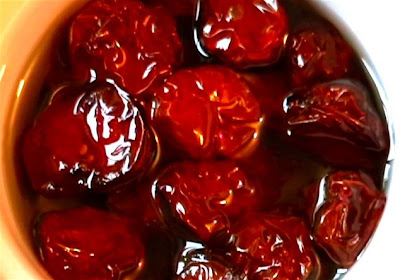 I'm not a big sun-dried tomato fan, the jarred ones taste like medicine to me, and I avoid them on menus whenever possible. I figured these would be much better - sweeter and juicier. 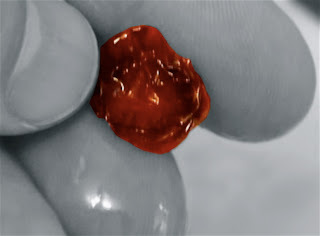 What I got, 12 hours later, and who knows after how much cooking gas, were what best could be described as cherry tomato raisins. They didn't taste bad, and Michele liked them, but considering all the time and wasted fuel, the tiny ramekin I ended up with surely didn’t justify the effort. Talk about severe shrinkage! I think you'll all agree this video recipe is of no practical use, other than maybe to mock me. Hey, at least the name is kind of catchy. Enjoy! There was a rich family that lived in a large house in a small village. The rich family threw a party and invited the rest of the town. At this party, a few wealthy guests were given champagne and caviar, and the rest of the guests got cocktail franks and warm beer. Later that evening, after most of the guests had left, some of the wealthiest guests joined the rich family in a drunken game of naked twister. Someone slipped on a cocktail frank that one of the poorer guests had dropped, and knocked over a candle. Soon the large house was engulfed in flames. The rich, drunk, and naked guests ran out on to the street, and screamed for the gathering crowd to help them put out the fire. But the mob, still angry they were only fed cocktail franks and warm beer, shouted back that the wealthy family should put out the fire themselves since they started it. Water was in very short supply, and the wealthy family insisted that they needed some from every well in the town. The townspeople argued that the family had the deepest well in town, and should have plenty to put out the fire. The rich family said the well was dry because they'd just had their servants wash their many cars. This angered the mob even more. As they argued, the fire spread, and the entire town burned to the ground. Like most of the politicians, I am clueless. When there is a fire nearby, put it out, and then argue about what happened. Let the mother burn, it may shake things up. 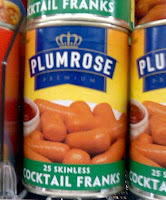 I like cocktail franks and warm beer! Right up there with debates about offshore drilling, and the nation's outdated and inefficient crude refineries, is the country's frustration with how the heck do chefs make those cool, colorful infused oils. Well, wonder no more. As promised, in Part 1 of the 24-item "Food on Foodbuzz" tasting menu, here's a video recipe showing the extremely easy method for making infused oils. This smoked paprika oil uses the faster, heated method, as opposed to some chefs who simply mix oil and powdered spices, and leave them for a few weeks to infuse. This technique only takes a few hours and works just as well. Some would even argue that the heat at the beginning of this recipe brings out a deeper flavor in the pepper, than the uncooked version. Enjoy! The Rest of the "Foodbuzz 24"
Here are the other 23 posts from the "24 Meals, 24 Hours, 24 Blog Posts" Event. Check out the amazing variety of themes, ingredients, and locations. Enjoy! 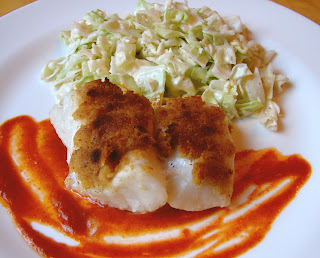 Rested, Refreshed, and Planning Some Great One-Course Meals! Thanks to everyone for the extremely kind and enthusiast emails and comments regarding the 24, 24, 24 menu. Like I said, it was a lot of fun, and I hope it helps expose this site to many more new visitors. To that end, if any of you have time to spread the word, I would be deeply appreciative. 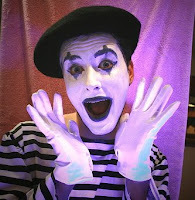 My schedule of cooking, filming, and writing makes promoting this blog a real challenge. I know that many of you probably use websites like Twitter, Digg, Stumbleupon, Facebook, etc., to share and recommend blogs, and blog posts that you enjoy. If you can assist me by helping spread the word with those types of resources, it would allow me to concentrate even more time on what I really love to do; cook, film, write, and teach. Thank you all. I'm up to my ears in misenplace, and will be incognito until tomorrow, when I will share this 24-item tasting menu via video, photos, and text. 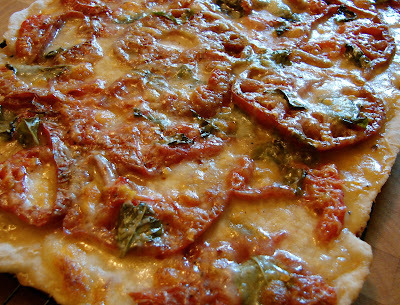 Until then, grab a slice of pizza, and enjoy the day like it's the last day you will be able to taste garden-ripened tomatoes this year. Some slices are such sweet sorrow. There's something cooking. Sunday, we make history together. What a great time of year for a crock of French onion soup. Who can resist that bubbling raft of Gruyere cheese covering the rich, aromatic broth? It's too bad you get to experience one of life's great culinary treat so rarely. That surge of excitement, and saliva, that comes with seeing it on a menu is both welcomed and infrequent. So, make it yourself! 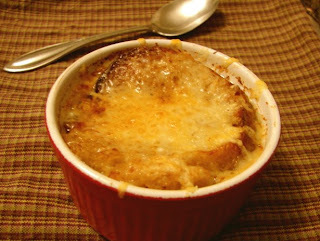 French onion soup has to be one of the easiest soup recipes ever. To make it the right way you do need a few hours, but it's probably raining out anyway. There are many great ways to spend a rainy fall afternoon, but few are as satisfying as listening to the rain, while smelling onions slowly sweetening in warm butter. Do yourself a favor and throw out every French onion soup recipe that calls for those expensive "sweet" onions - you know, Walla Walla, Maui, Vidalia, etc. Those varieties are "sweet" because they have lower levels of the sulfuric compounds that give onions their sharp, strong taste when raw. These mild onions are awesome when eaten raw in salads, or on sandwiches, but when cooked, do not taste any better than your basic yellow onion. If you don’t believe me, email Alton Brown, whom I stole this rant from. Enjoy! Homemade Asian Barbecue Sauce and Marinade - So Good You'll Swear it's Artificially Flavored! Some store-bought sauces and condiments make sense. Ketchup, mayo, and mustard can all be made, but in general, for your average home cook, the price and convenience of these prepared foods doesn't usually justify making them from scratch. The danger with grabbing a jar of relatively harmless Dijon is that just down that aisle you're going to pass by the "Asian" section, and be tempted by a colorful array of barbecue sauces and marinades. The names are so exotic and enticing. 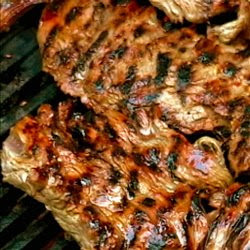 The picture on the label shows glistening ribs, dripping with juice. The instructions say "just pour over meat and grill" - hey, that sounds easy! And then, you look at the ingredient list. The only words you recognize are "high fructose corn syrup," and "dehydrated garlic." But, it's already in your hand, and that meat in the picture sure does look tasty, so in the cart it goes. Hopefully, when you see this video recipe for my basic Asian barbecue sauce/marinade, you will see just how simple these sauces are to make. Not only are they easy; not only are they MSG-free; but the flavor is far superior to any of those $3.50 bottles. 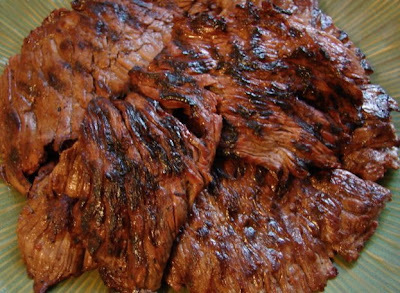 The other goal of this video recipe is to inspire you to find some "skirt steak." Ask your butcher! This is the perfect cut of beef to use with one of these sauces. Enjoy! This clip from the David Letterman show has it all; Simmons' short-shorts and afro in all their glory, Letterman not even trying to hide how stupid he thinks the invention is, and a complete disregard for poor Richard's safety. This really shouldn't be on your Christmas list. To paraphrase Simmons, "this isn’t a go-go-cart!" Michele and I had a nice dinner tonight at the Jasmine Garden, a Vietnamese restaurant a few blocks from our flat. In case you've never been, many Vietnamese dishes are served with a side plate of garnishes, including lots of mint and basil. 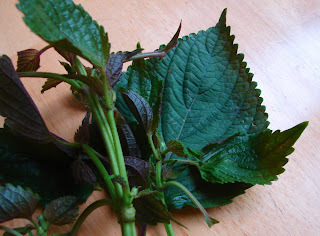 I brought home some of the mint, since I've never seen it before, and I'm hoping that someone out there can tell me what it is. The waiter said it was a mint they get from Thailand. I didn't want to press him on it, but do they really fly in mint from Thailand? It almost looked like regular mint, except that each bunch had a couple freakishly big leaves. 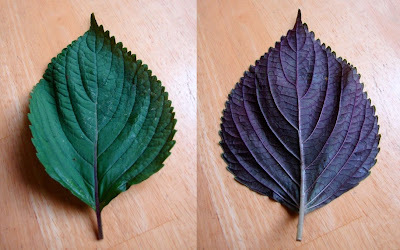 The other odd thing was the leaves are dark green on one side and purple on the other. The taste was minty, with basil-ish undertones. Can anyone help enlighten me? 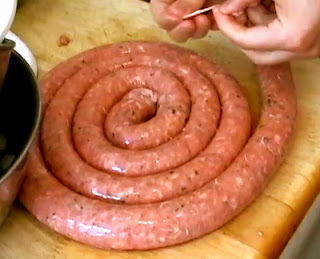 When my visiting cousin Tony told me he was making homemade sausage for us, I asked him if I could film it, as I knew some of you would enjoy seeing that process. So, it really is too bad that I sucked as cameraman. I was running in and out of the kitchen, trying to work on other things - I was hitting 'record' too late, or 'stop record' too soon - so, I just missed too many shots to have the recipe make sense. Undaunted, I decided to edit what I had, to tease you until I film one myself. As I say in the clip, making sausage at home is really not that hard, and I may even do a version that doesn't need a Kitchen Aid grinder. Stay tuned! 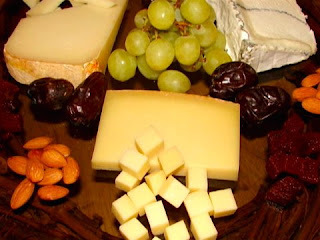 This "How to Make a Cheese Plate" video demo was done for About.com, and was quite a challenge to edit down to the requested three minute duration. I usually film about 10 minutes of footage and edit it down to about five, then do a voice-over. The rough cut is then edited to the three-minute final cut. It's usually a very painful process involving me deleting frames and narration that I'm convinced is nothing short of brilliant. But, as the deadline approaches, and my delusions of grandeur fade, I always manage to whittle it down somehow. This video was assigned to follow a 3-cheese selection already published on About's cheese site. I was excited when I saw the choices, since these were three of my all-time favorites. That was also the problem - if I had covered all the info I wanted, the video would have been 15 minutes long! Since "bring a platter" party season is almost here, this basic how-to may come in handy. These cheeses are fairly easy to find, but if you can't, there are so many combinations that will work. Don't be afraid to ask the person in charge of the cheese department at the local high-end grocery store. The only thing that cheese-heads like better than eating cheese, it's talking about it (my wife sold cheese for years, so I know this for a fact!). Enjoy! This beer batter video is from the author of The River Cottage Cookbook, which my cousin Tony is currently reading, and enjoying very much. He has recently moved back to San Francisco to continue his culinary career, and like most young cooks, his appetite for knowledge, both literary and otherwise, is voracious. Besides a plug for the book, I've posted this because every cook needs to know a simple, easy to remember beer batter – and this is about as simple as it gets. By the way, when he says to fry at 175 degrees Celsius, what he really means is 350 degrees F. Enjoy! Whatever You Do, Don't Drink the (Bottled) Water! 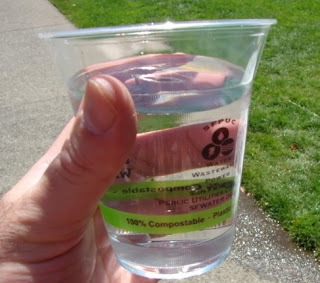 At the Slow Food events this past weekend, I noticed that water was being served in these plastic cups. This seemed a bit odd for these earth-friendly folks, but closer examination showed them to be compostable. The woman manning the water stand explained to me that these cups were made out of corn, and were biodegradable. She was beaming with pride as she filled it with San Francisco's finest tap water. Tap water? What? That's right, thousands of we effete Bay Area foodies were being forced to drink tap water! Something that people from places like Nebraska (where the corn for the cup was probably grown) are forced to endure. The horror. If Slow Food Nation '08 accomplished one significant thing, it was educating people that tap water is good, and bottled water is bad. Who knew? There was lots of information posted at all the "water stations" that made a great case for giving up that plastic bottle. I won't bore you with the details. You can bore yourself at the Take Back The Tap website. In all seriousness, it's important info to read, and I encourage you to check it out. Remember how we all laughed and mocked those first bottled water drinkers? What a bunch of idiots - paying for water, when you can get it free from the tap! Now, we all suckle at the teat of big water. What the hell happened? It turns out our original instincts were right - we should have known the first time we saw those net water bottle purses swinging off people's hips. VIDEO UPDATE: A viewer passed along this clip from YouTube of an episode of Penn and Teller's show "Bullsh*t" - which will serve as further evidence of the bottled water scam. Warning: Adult language sprinkled throughout. 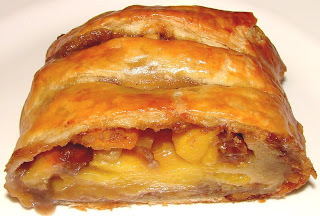 There are two ways to make strudel, the right way, and the way I make it in this peach strudel video recipe. This fast and easy version uses puff pastry, instead of the homemade dough that's stretched paper-thin over kitchen towels, and rolled up into the multilayered masterpiece invented in Austria centuries ago. While Austria gets credit for its origins, the word "studel" is German, and most consider this to be a German pastry. Back in culinary school I remember being so excited to learn we were going to be taught this impossibly flaky, and airy puff pastry. We rolled and folded, and rolled and folded in all that butter, and when we were done our puffy pastry looked nothing like the stuff the chef had made. Mine was flat, tough, and so not flaky. So, like most cooks do, I eventually resigned myself to the fact that puff pastry would just be one of those products I would be forced to buy. It was something that was going to take more practice time to perfect than I had to devote - especially for something I would use only occasionally. If you are in a big city, you may find a bakery or patisserie that sells it frozen. But, if not, take comfort that every frozen food case in the country has boxes of Pepperidge Farms puff pastry. 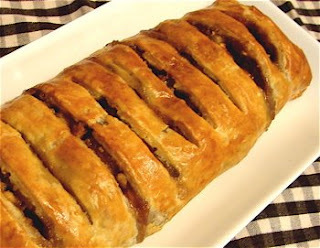 It's a decent enough product, and when used to wrap up a filling this delicious, no one with any decency will complain. Just don't invite any Austrians over. Enjoy! Carlo Petrini, "The Most Interesting Man in the World"
I'm sure most of you have seen the Dos Equis beer commercials (if not, watch the clips below) featuring the bearded gentleman referred to as "the most interesting man in the world." While the star of these commercials is a fictional character born in some Manhattan conference room, Saturday I had had the pleasure of listening to Carlo Petrini, the foodisphere's real life, "most interesting man in the world." As I listened to the founder of the Slow Food movement speak, a very strange thing happened - suddenly I understood Italian. It wasn't only me; the entire audience was experiencing the same thing. Several times during the discussion, the moderator, who was also translating, would stop and simply say, "I think you all got that." Somehow we had. 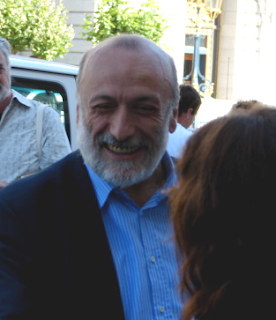 Carlo Petrini is one of those speakers with the ability to keep you hanging on every word. Even the perfectly timed pauses in his anecdotes, and admonishments, held the audience in satisfying suspense. That he was the most compelling voice on stage was no mean feat. 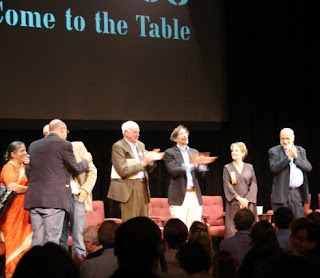 The panel was a who's who of Slow Food, and each was brilliant in their own way. Wendell Berry, Vandana Shiva, Michael Pollan, Alice Waters, and Eric Schlosser, joined Carlo Petrini for a conversation about the local, national and global impact of the philosophy and practice of Slow Food. Moderator, Corby Kummer, did a wonderful job guiding the talk, and making sure that even the subtlest of points were not missed. 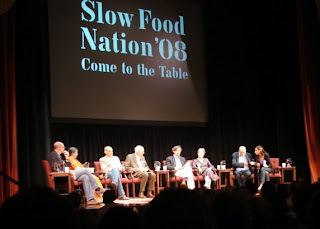 I am very happy to announce that Slow Food Nation will be uploading videos of these discussions, and you'll be able to view every minute right here. This is great news for me, since I had no idea how to even begin sharing all that was discussed; from the charges of elitism, to how the poor are suppose to participate, to why the White House doesn't have a vegetable garden. I can't wait for you all to see and hear what I did, and I very much look forward to a lively exchange of ideas afterward. Until then…stay thirsty my friends.